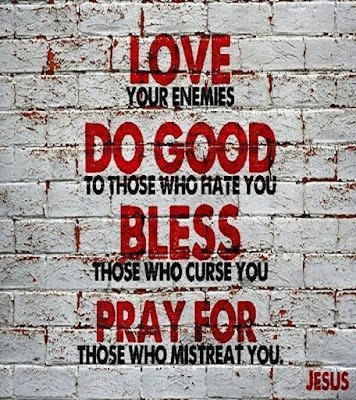 ‘I say this to you: love your enemies and pray for those who persecute you; in this way you will be sons of your Father in heaven’ (Matthew 5:44-45). Last Sunday Matthew’s gospel showed us how, in order to live the Christian life to its fullness, we must strive to live up to certain moral standards that are considerably more demanding than those developed by society outside these walls. This teaching was summed up by Jesus saying, ‘If your virtue goes no deeper than that of the scribes and Pharisees, you will never get into the kingdom of heaven’ (Matthew 5:20). And, in my homily I mentioned that in order for our virtue (our good habits and dispositions) to go “deeper” – to become truly Christian – we must be guided by charity, by the love that God has poured in our hearts. Being guided by love is the more demanding task Jesus requires from us, not simply sticking to a lengthily list of dos and don’ts. Today, our gospel reading continues with the same theme as we hear how Jesus instructs us to take charity as our yardstick, our guiding principle, when dealing, not just with those whom we know and like, but also with our enemies. 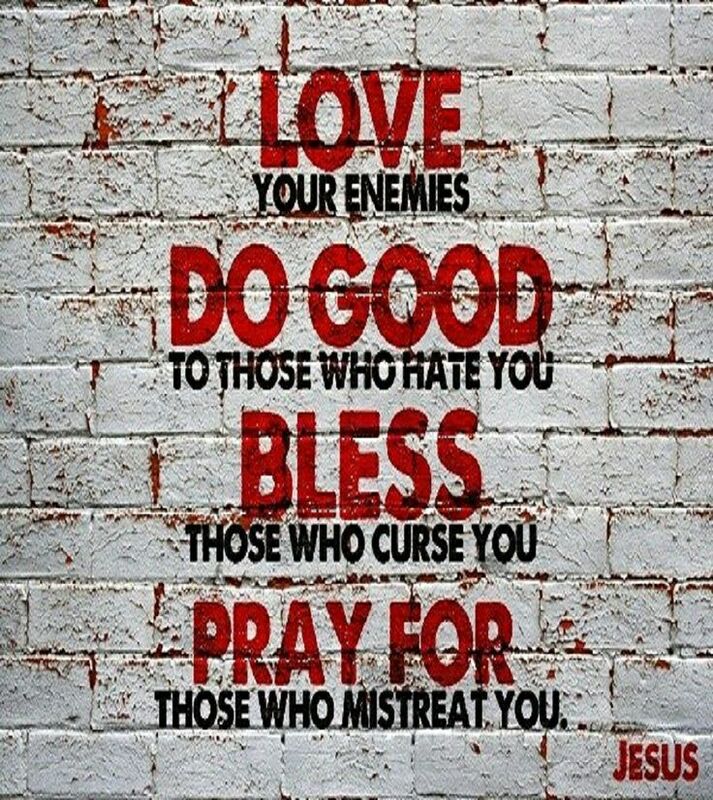 ‘I say this to you: love your enemies and pray for those who persecute you’ (Matthew 5:44). Jesus spoke these powerful words first to a Jewish society that was ruled by a foreign power with the aid of an occupation army, and deceitful political leaders. So, we must not think even for a minute that the Lord’s command means just being nice to people we cannot really stomach, not even merely refrain ourselves from hating our enemies. To love one’s enemy means showing them the level of care and commitment to their wellbeing that they deserve as fellow human beings, as fellow creatures of God; not to be spiteful towards their success, or rejoicing at their sorrows; and ultimately, it means learning to pray for them just as often as we pray for our loved ones. Undoubtedly, this is a tall order, and many people will be quick to dismiss it as an absurdity, especially when we look at the ways in which certain powerful figures today are essentially using hate and fearmongering in their political speeches, or the ways in which we are prone to dehumanising individuals with whom we do not agree, in order to feel morally justified to remove our care form them. Hate, or just apathy, for people we do not like, let alone for those who persecute us, may be the fashionable flavours of the month in many areas of society, but it should not be the guide our virtue; it does not concern us. We are Christians, and as such we are called to go further and to let love transform our actions into those worthy of true sons of the Father in heaven. Which leads me to another important point… normally I would try to mitigate the gender-exclusive character of our readings, but on this occasion, when the gospel says, “If you do these things ‘you will be sons of your Father in heaven’” it retains an important feature; if we love our enemies and pray for them, charity will transform us into the likeness of Jesus, the only begotten Son of God, by guiding us to act as he himself did. In other words, by constantly practicing virtues such as humility, justice, and generosity with the assistance of love, we will daily grow into maturity as Christians in, what St Paul calls, ‘the full stature of Christ’ (Ephesian 4:13). Our Lord did not just command us to love our enemies, and then left us to our own devices to figure out what that might mean. Jesus applied what he taught; and after that he inspired countless saints to do the likewise. On Good Friday, as cold nails were hammered through his flesh by the Roman soldiers who ruled over his people, Jesus prayed for his enemies saying, ‘Father, forgive them’. In this he gave us both example and courage to be guided by love in the ways we engage even with our enemies, because he loved them first.